Director Jewels: Hanna Andersson: Welcome to Kansas City! Disclosure: I received a gift card for participating in this event, but was not asked to write a review. I seriously love this brand and just wanted to share the awesome with all of you! This post contains affiliate links. Where are my Kansas City readers? I know there are some of you lurking out there! 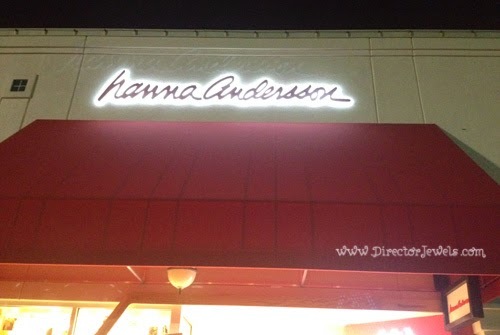 I'm so excited, you guys, because there is a new Hanna Andersson store open at Town Center Plaza in Leawood. I had actually never heard of Hanna until my friend Stephanie pointed me their direction when I was working on my Toddler Girl Fall Fashion Roundup earlier this year, but once I took a quick look at their online shop, I was hooked. Organic cotton, glorious colors, and sweet designs that let kids just be kids? Yes, please. 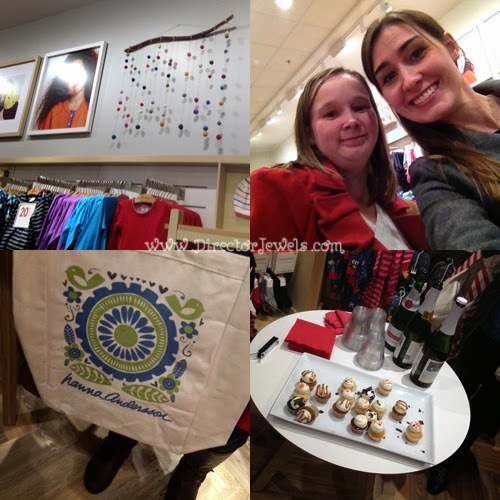 To say I was excited when I was invited to be a blogger hostess for the Leawood store Grand Opening Event would be the understatement of the year. I was able to invite some friends to attend a special pre-sale event the night before the store's grand opening and it was such a blast! I had the chance to chat with Adam Stone, the CEO of Hanna Andersson, during the event. 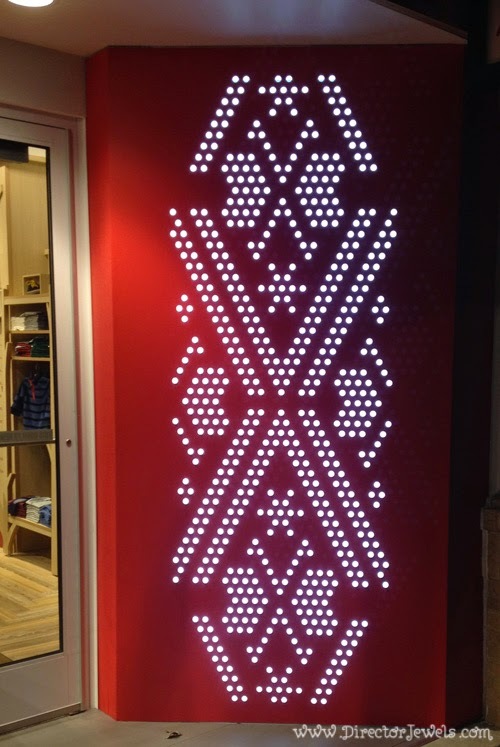 He shared with me the company's background story - how one mom (originally from Sweden) decided to create a brand of clothing that would last for a long, long time - as is customary with most things in Swedish culture. The cotton clothing is designed in vibrant colors that don't fade regardless of how many times they are washed, and they're intended to be clothes that can be handed down from child to child. The company was started in a garage in Portland, Oregon 30 years ago and has grown immensely since that time! I'm so excited that we now have our very own Hanna store here in KC! You know that one clothing item in your wardrobe that you love because it is so soft and comfortable you can just chill? Everyone has something like that, right? They're the clothes that you run to put on as soon as you walk in the door from work at night, or the ones you don't change out of when you're planning to just stay home and organize all day. 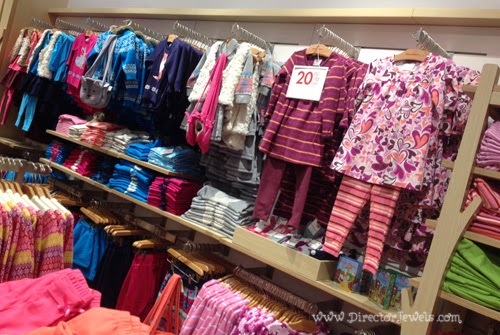 Hanna's clothes for kids are all like that - from the very first day you buy them. They're the softest cotton I think I have ever felt in my life! From the casual play dresses (with which I am obsessed), to the amazing adorable collection of holiday pajamas, every single piece of clothing sends a message that it will become a wardrobe staple. And it's a worthy message: Hanna Andersson guarantees that you'll love their clothing and that they'll last - or you can bring it back, anytime. There's no return deadline! As if everything I've already shared isn't enough, Hanna offers a line of Star Wars pajamas right now that are (for this geek) to die for....seriously. 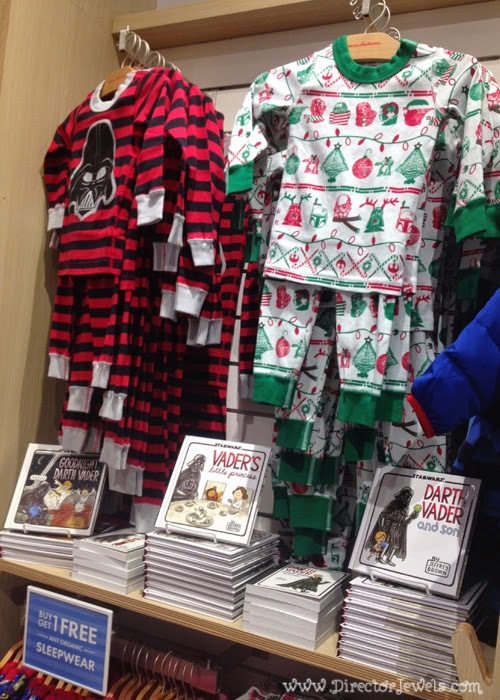 Striped Darth Vader jammies (they also come in pink)? And Star Wars in Christmas sweater design? I almost can't handle it. What, you forgot I'm a Star Wars fanatic? Please see: Nerd Alert: Family Star Wars Halloween Costumes. The sizing works a little bit different than the American standard, but it's really easy to figure out as long as you know your child's general proportions. 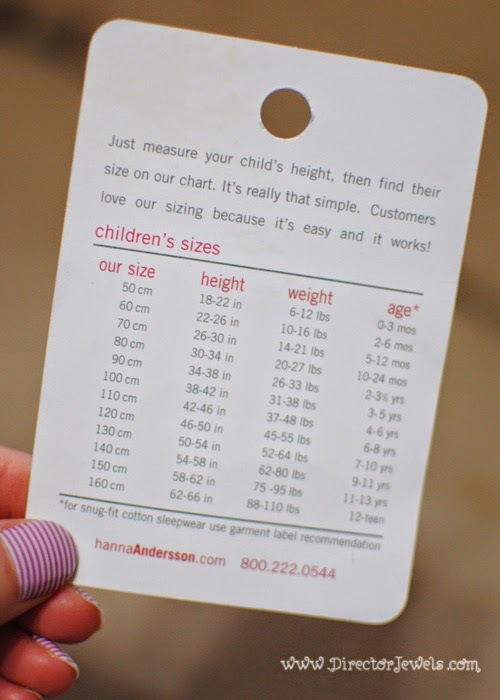 The friendly employees at the Hanna store were handing out size charts to each shopper like the one pictured below. I think I could have spent an entire paycheck in this store without blinking an eye, but since my budget wouldn't look kindly on that idea, I managed to pick out a few favorites to bring home to my kids. Some of my favorites? The Heathered Henley for Lincoln and the It's a Playdress, It's a Daydress for Addie. I had such a hard time narrowing down which dress I liked best! They are all adorable. Enjoying Festivities at the Grand Opening Party with Stephanie. 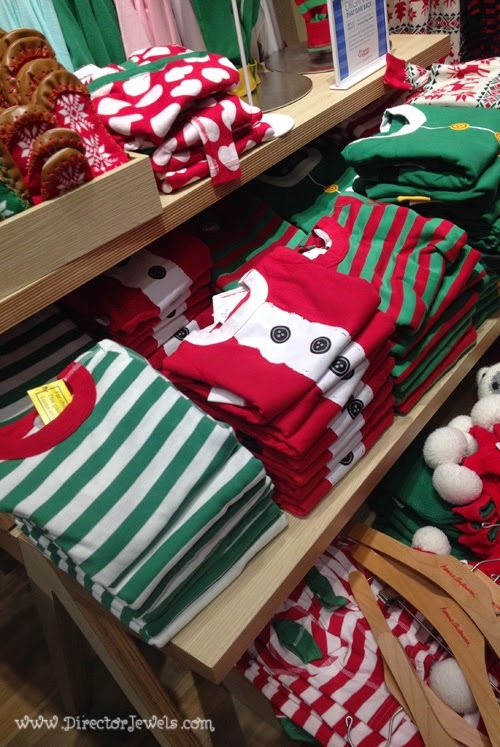 How cute is the snow monster shirt and the Pippi Longstocking doll? 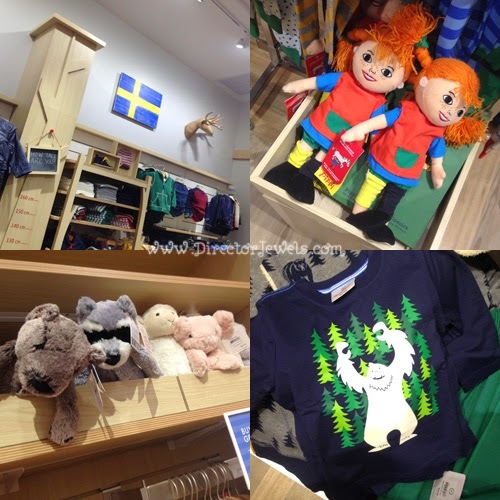 I know that there will be sales this weekend for Black Friday, so if you're planning to look for kids clothing, make sure Hanna Andersson is on your list! I can't wait to give my kids their Christmas Eve pajamas this year - not only will they look adorable in my Christmas morning photos, they'll be super comfy too! 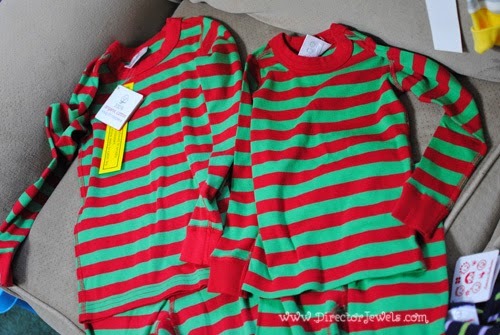 I couldn't pass up the Red & Green Striped Organic Cotton Pajamas! Addie is so far a huge fan of her Hanna Andersson clothing. 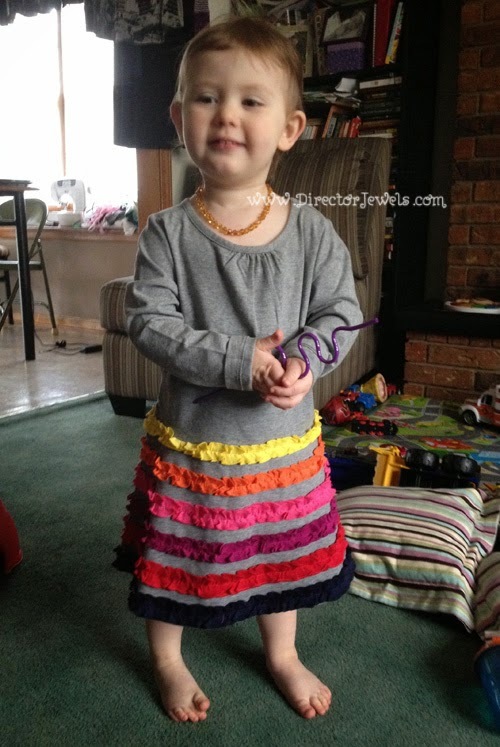 The first time I put on her Lotsa Ruffles Dress, she declared "I'm beautiful!" and spent the next ten minutes twirling around. I love that it's one of her favorite outfits - because it's one of MINE, too! I can already tell that the quality is spectacular. This dress will hopefully be handed down to a little sister someday! We love our Hanna clothing! 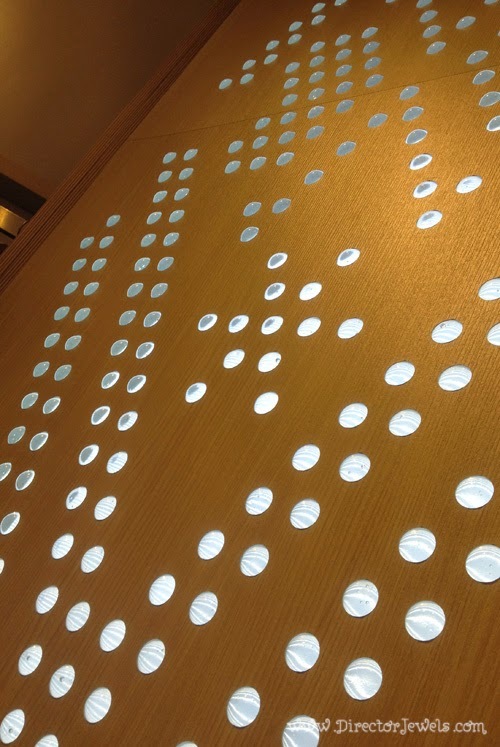 If you're in Kansas City, stop by the store to check it out - but if not, you can find great deals online, too! Make sure you watch for Thanksgiving, Black Friday, and Cyber Monday deals all weekend! Made to match headband by Adelaide's Attic. Thanks to Hanna Andersson for allowing me to be a part of your grand opening celebration! I can't wait to visit again! 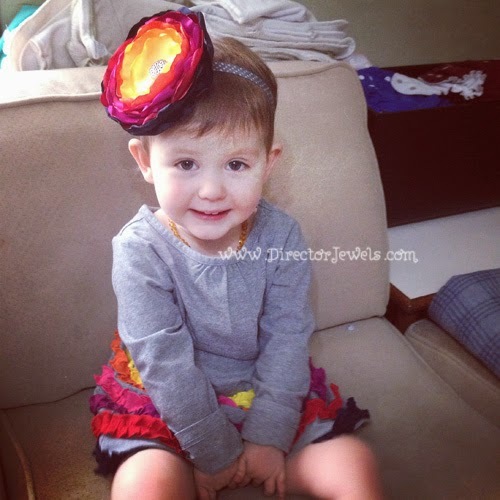 Addie looks so adorable in that cute dress!!! It is a very nice store and has cute clothes for my little Sugars!! !